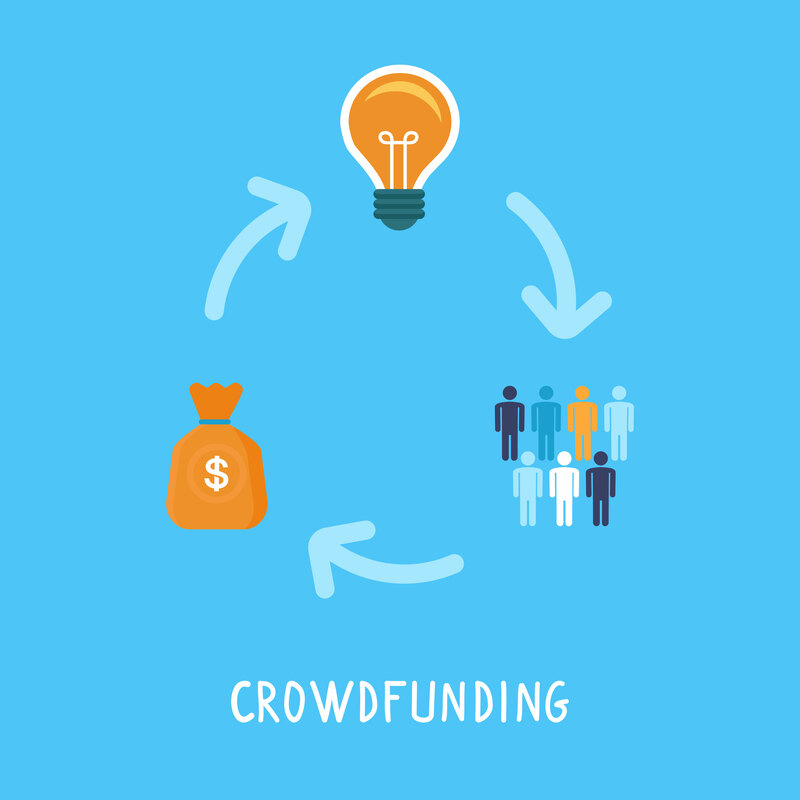 There are hundreds of crowdfunding sites to choose from. Discover the key differences, strengths, and drawbacks of each platform and pick the right one for your project. 26 Top Crowdfunding Sites by Niche: Consult this list of popular crowdfunding sites, sorted by project type, for crucial details on fees and platform restrictions. CrowdsUnite.com: Read reviews of hundreds of crowdfunding platforms to learn from others’ experiences and find help choosing the best option for you. Polish your reading glasses, find a comfy chair, and read up on platform requirements, best practices, and words of wisdom from the crowdfunding community. 10 Essential Elements of a Successful Crowdfunding Campaign: Crowdfunding success doesn’t come by accident. These 10 tips will help you create the strongest possible campaign. Kickstarter’s Creator Handbook, Indiegogo’s Playbook, and Kickstarter Blog’s “Tips” page: Peruse these guides for platform-specific requirements, plus targeted advice for your project’s niche — from games to gadgets and beyond. The Crowdfunding Bible: Learn what to expect from the process, read advice on building a team and community around your project, get planning tips, and more. Nathaniel Hansen’s Crowdfunding Best Practices: Follow this pre-launch checklist to help you make the most of every opportunity and resource at your disposal. 5 Rookie Crowdsourcing Mistakes: Watch this webinar for the inside scoop on the “Green Bar Effect,” proven marketing strategies, and avoiding common mistakes. Kickspy: Get an inside peek at today’s top Kickstarter projects and research past projects similar to yours. Crowdsourcing & Crowdfunding LinkedIn Group: Join this active hive of over 26,000 crowdfunders, with dozens of new discussions each month. CrowdfundBeat and CrowdfundingForum.com: Catch up on the latest crowdsourcing news and trends. Don’t get caught off guard by legalities. Cover all your bases and make sure you know exactly what you’re signing up for! Crowdfund Capital Advisors, Understanding Crowdfunding Taxes and Kickstarter & Taxes: Do crowdsourcing donations qualify as income or gifts? What can you deduct from your taxes? Give these guides to your accountant and be prepared come April 15. JOBS Act review: The Jumpstart Our Business Startups Act makes it easier for small businesses and startups to raise capital. Get all the details you need on this important legislation — in plain English. Time to talk numbers. How much do you need to turn a profit? Can you afford to offer that awesome backer reward? Think Before You Kickstart’s Budgeting Tool: Play around with different rewards ideas to see how each one affects your overall project costs and total budget. Rewards Pricing Template: Input details like materials and shipping costs to determine exactly how much each reward type will cost you and its impact on your bottom line. Important! : Your budget must include more than just your project costs. Don’t forget about pesky fees — like the percentage the platform will take as its cut, bank fees, state and federal taxes, payment processing charges, and all the miscellaneous costs incurred when setting your final fundraising goal. Buckle up! It’s time to put the pedal to the metal and make your project plans a reality. Project management tools like Wrike: Track every task, coordinate all the moving pieces, get help from your team, and adjust to any bumps in the road. Google Drive, Dropbox and Box: Store important project files in the cloud, where it’s easy to share with your team and access them from anywhere. Find creatives and craftsmen to help with everything from brainstorming the perfect product name, designing an eye-catching logo, and building a professional prototype. 99 Designs, CrowdSpring, & Elance: Submit a description of your needs and designers will pitch you their work. You pay for the submission you like best. Thomasnet.com: Find the parts you need, or hire a local prototype developer. Shapelock and Sugru: Shape your prototype by hand with moldable plastic or rubber. Ponoko: Upload your copyrighted design, get a quote, and they’ll make one for you. Shapeways: Get a 3-D print of your product in one of 30+ materials. Flex your creative muscles! Showcase your project (and your personality) with beautiful visuals, compelling text, and enticing rewards. Anatomy of a Greater Kickstarter Project Page: Read tips for creating an exceptional project profile that will get people talking, sharing, and reaching for their wallets. Video 101 from Vimeo: Follow these 3 steps to great video, from choosing a camera to editing and post-production. Animoto: Cut a stunning video with these online editing tools. Free Music Archive, JewelBeat, Freesound.org: Add something special to your video with these free or low-cost music selections and sound effects. Fiverr.com: Hire voiceover talent, artists, musicians, translators & other creatives for just 5 bucks. ODesk and Guru.com: Get creative and technical help from talented freelancers. Vimeo and YouTube: Use these popular hosting services to embed your finished video on your project website or profile. Slideshare: Stand out from the video crowd with a sleek slideshow. Pixlr and FotoFlexer: Beautify your photos with these easy-to-use editing programs. Spread the word about your project, attract more backers, and build momentum to power your campaign across the goal line. Crowdfunding Promotion Beginner’s Guide: Find tips for writing a convincing pitch, harnessing the power of friends and family, and brainstorming great rewards. Hubbub’s Tips to Make Your Project Stand Out: With over 150,000 projects launched on Kickstarter alone, these tips will help you get noticed. LaunchRock Platform for Launching Startups: Create “coming soon” pages, build anticipation for your product, accept pre-sales, and more. WordPress and Blogger: Set up a product blog to chronicle your progress, share exciting news and achievements, and build a community around your brand. Or, use Paper.li to create and share an online newspaper with the latest details. MailChimp and Boomerang for Gmail: Send sleek email newsletters to your backers with the latest news, and optimize Gmail by scheduling outgoing messages when you’re away from your desk. Hootsuite and Buffer: Schedule social media posts and manage all your social networks in one hub. Use Twilert to get real-time notifications when your brand, hashtag or keyword is mentioned on Twitter. Kicktraq: Review analytics for your Kickstarter project for insights on how your promotional efforts impact the number of backers, page activity, and dollars pledged. CrowdfundingPR.org: Send your press release to this list of blogs, publications, and influencers that cover the crowdfunding industry. Crowdfund Mafia and Seeding Factory: Call in the professionals for help with press releases, media distribution, email templates, and more. Congratulations! Your project reached its goal! But you can’t breathe easy just yet — it’s time to deliver the goods. US Domestic and International Shipping Rates: Check out this cheat sheet to calculate shipping costs down to the penny. ShipStation: Import your backers list, print labels in bulk, and schedule shipment with all the major carriers. ShipWire: Free up your garage by storing excess product in their warehouses, then let ShipWire automatically select the ideal carrier and route for each shipment. CustomInk, CafePress, and Zazzle: Print quality custom T-shirts. Tee Launch even ships directly to your backers. Thomasnet.com: Restock your manufacturing supplies, find local shops, download CAD models, and more. BackerKit: Manage and track each reward as it’s delivered to your loyal backers. TaskRabbit and Zirtual: Hire a helping hand or personal assistant to cross daily tasks off your growing to-do list. Your campaign may be wrapping up, but that doesn’t mean your project has to end. Create a place for new customers to find and buy your product, and for current backers to stay connected to your brand. Vendevor: Embed an online store that can accept credit card payments on any site — like your project blog or Facebook fan page — with a single line of code. Swish.com, Outgrow.me, and TinyLightBulbs.com: Continue selling your products after your crowdfunding campaign ends through these online shops. We applaud all the artists and innovators who build a collaborative community around their enterprise. And with these tools, you’ve got all the resources you need to successfully launch your own passion project. Have you ventured into the wild world of crowdfunding? What tools did you find useful during your crowdfunding campaign? We’d love to hear from you in the comments! Image Credits: Crowdfunding by Rocío Lara. Some rights reserved. Emily Bonnie is a Content Marketing Manager at Wrike. Her brain is stuffed with obscure grammar rules, Star Wars trivia, and her grandmother’s pie recipes.